We investigate the best places to gather high-quality feedback after alerting you of three key mistakes contact centres make when doing so. Before we get into how, when and where we can look for high-quality feedback that can be used to improve the customer experience, we first have to make sure that we avoid these three major pitfalls. 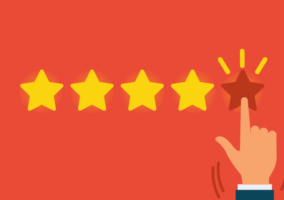 Many contact centres look to attain customer feedback because they think it’s something that they should do, but they don’t use it to drive any major changes to the contact centre or the overall customer experience. If we want to improve both the quality and the amount of feedback we generate, it is important that we start with a purpose and create a plan around that. The customer wants to tell you what they think, not what you want to hear. When a customer agrees to share their feedback, they may already have an idea of the types of issue that they want to discuss. If you avoid this issue through asking closed questions, you will likely disillusion them. While we want to create questions that spring from our purpose, just asking simple yes or no questions may harm the customer’s experience. Responding to customers who have left feedback is important to ensure that the customer feels as though their response was valued. The practicality of doing this will differ according to your organisation’s size, but we should at least always respond when we’ve been made aware that we have let a customer down, with the aim of solving the customer problem and blowing their socks off. There is also great value in responding to positive feedback to lever the relationship, while neutral feedback gives us an opportunity to build better relationships with our customers. Keeping this in mind, here are five key ways of sourcing great customer feedback. 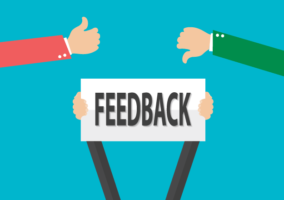 A too often forgotten source of customer feedback are your advisors, who are having conversations with customers day-in and day-out, so it is they who can pass on common customer issues and thoughts to the wider organisation. To gain the most valuable information from the team, Guy Arnold recommends a mixture of informal and formal approaches. You will notice that every so often an advisor will speak of something with a great deal of passion. This is when you know that you’ve hit upon something. ii. What do we need to do better? iii. What would you change if you were the boss? Transactional surveys involve asking the customer a traditional Customer Satisfaction (CSat) or Customer Effort Score (CES) question after their contact. Ask the customer after their call if they are happy to take part in the survey and transfer them through to an IVR to answer the question, to get as honest an answer as possible. On written channels, send the customer a link to answer your survey online. The question “On a scale of one to ten, how satisfied were you with our service today?” is an example of the type of question that you should be asking to measure CSat, but make sure that it doesn’t end there. Give the customer an opportunity to leave a comment, so you’re not just asking closed questions. The score can then be used as a measure of how well you’re doing, while the open feedback you are also collecting can also be useful, if you use it in the right way. For example, you can track repeat reasons for negative feedback and focus in on those to improve customer happiness or, more simply, use the feedback to better inform your next response to the customer. 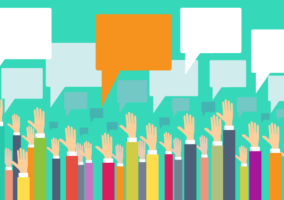 An obvious way to gather even more feedback is to talk to your customers face-to-face, whether that’s in customer focus groups, customer panels or even customer interviews. Once you have identified your purpose, get in touch with your customers who have left good, neutral and negative feedback that was related to the specific part of the customer experience that you are looking to improve. Ensure that you only involve customers who did this, because if you force them into giving feedback that doesn’t really matter to them, it becomes less valuable and you may end up making changes only for the sake of doing so. Choosing the right customers to talk to is the key to any focus group or interview. If you sell numerous different products/services, categorise customers in terms of product purchased and type of person to ensure you are using the information to make the right changes for the right people. Social media is an obvious place to go to find out what your customers are saying about you, but it’s hard to make any actionable decisions from thisif you don’t have any reliable data to act from. So, some organisations employ social listening technology, such as Hootsuite or SproutSocial, which creates analytical dashboards across a range of social networks. 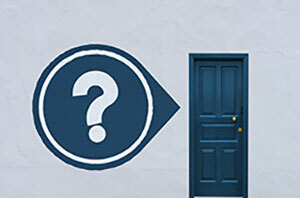 This means that social listening gives you an outside-in view of your business while collecting detail that helps to bring to life the gap between what customers expect and what they perceive they get. Social listening technology enables you to find and filter your social media conversations. Social listening technology also enables you to find and filter your social media conversations, making it a good tool to immediately gather feedback that is centred around your purpose. However, it’s best to avoid using social listening to find negative responses and remove them, as this will only serve to upset the original customer. Remember, having a couple of negative reviews only serves to show that you are real. A better secondary use for social listening, aside from filtering helpful feedback, is to share insight with the marketing department, who can use the information to develop offers that fit customer demand. 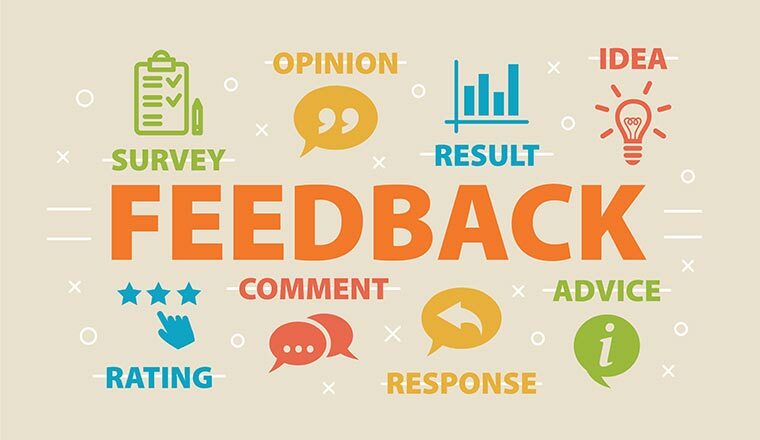 Customer feedback tools help you to design surveys that can be sent out to your customer base, at the optimum moment in the customer relationship, by using customer journey analytics. With this capability, these tools can further distinguish themselves from other free pieces of software, such as SurveyMonkey that are commonly used amongst many major organisations and bring many difficulties of their own. Start with an intent that derives from your measures, such as repeat complaint reasons, and assess these five sources for feedback to determine those that will give you the best quality feedback for your purpose. Whatever your purpose, if you use surveys or interviews for feedback, ensure they are timely and that the questions are open, so you are discussing only what your customers want to discuss. Then, once you have installed your feedback mechanism, make sure that the customer gets a response, so they feel valued.